Narey's toepoker - a Scottish football blog: Deila: a question of perspective? So, as they say in Scotland, Ronny Deila's jacket is on a shoogly peg. Back-to-back defeats, in the League Cup semi-final and then at Pittodrie in the league, have left the Norwegian more vulnerable than he has been at any point in Scotland. With fourteen league games to go, Celtic still top the Premiership by three points and are still in the Scottish Cup (after an underwhelming win over fifth-tier East Kilbride), but given their overwhelming advantage in resources, that's not good enough for most folk. After all, their budget is more than five times that of Aberdeen, and greater than that of every other Premiership side put together. The least we can expect, surely, is that they steamroller everyone else. 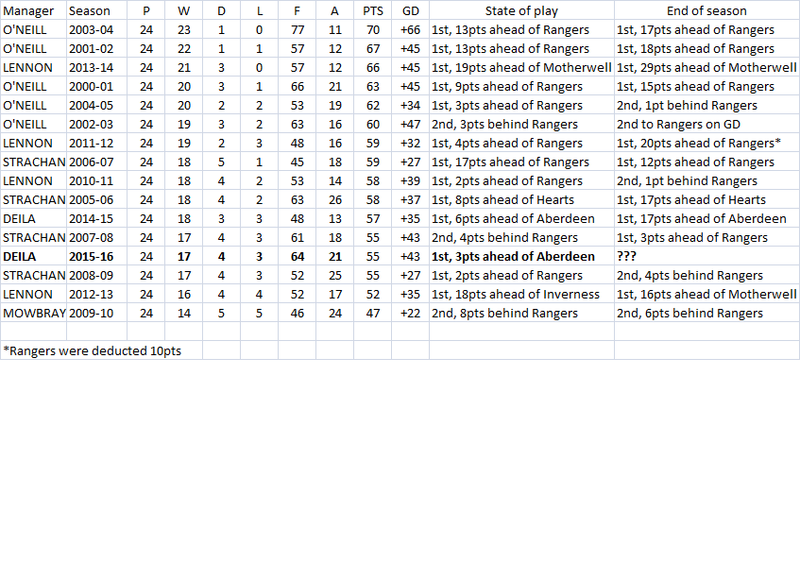 But how do Deila's Celtic compare to their contemporaries from recent years? Well, the table below compares the club's league records at this point of every season since the top flight expanded to twelve teams. If I'd included the Barnes and Venglos seasons, they'd be bottom of the list by miles. 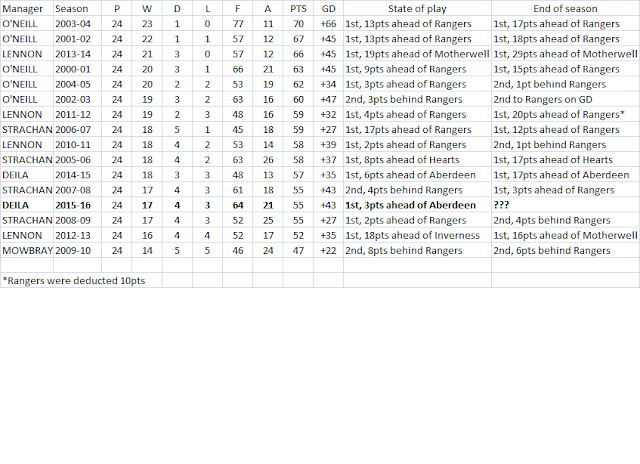 So this season ranks towards the bottom, but in terms of points accumulated it compares pretty well with all of Gordon Strachan's seasons in charge, and all but one of Neil Lennon's. Remember, Celtic have lost only three league games this season. Of course, Strachan guided Celtic to the knockout stages of the Champions League twice. 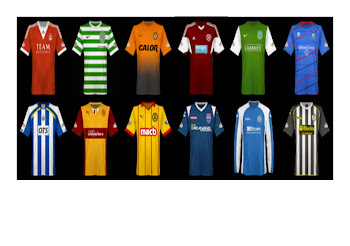 Lennon's poorest league season, 2012-13, was the campaign where he did the same. Deila in Europe...yeah, let's not go there. The other issue is the quality of the competition. The amount of points on the board, I'd wager, is less important in the minds of the fans than the gap to second place...and the team that they're battling with for the title. A Rangers side spending £12million on Tore Andre Flo is considered a worthy opponent, one that they could accept being neck-and-neck with. An Aberdeen side who can't even pull off a £200,000 bid for Greg Tansey? That's harder to stomach. So if Celtic were 18 points clear (like Lennon's 2012-13 side, which actually had fewer points at this stage) would Deila be cut some slack? Maybe.